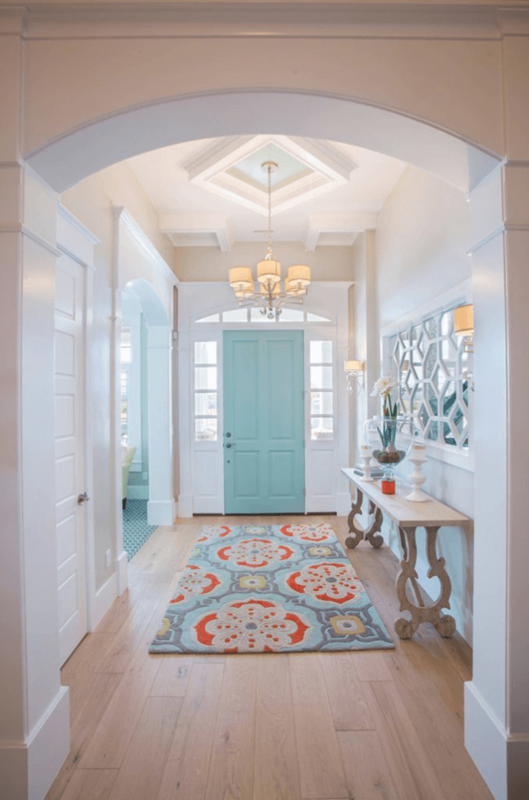 Turquoise has really been a crowd favorite lately. And I, for one, am thrilled! 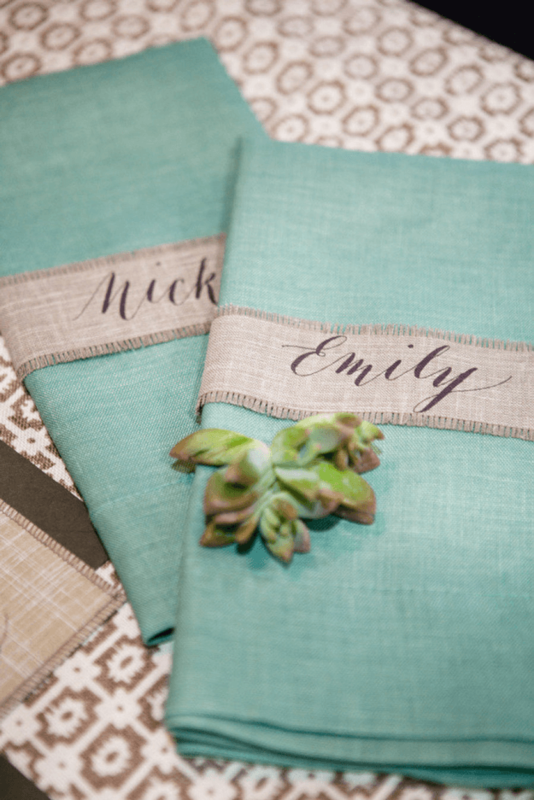 I’ve loved this pretty little blue-green color since way before it was a trend. Now, it’s being recognized by the masses for it’s sheer awesomeness. 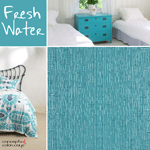 In fact, Sherwin Williams has a version of turquoise they call Reflecting Pool that they’ve included in their 2018 Colormix Forecast. 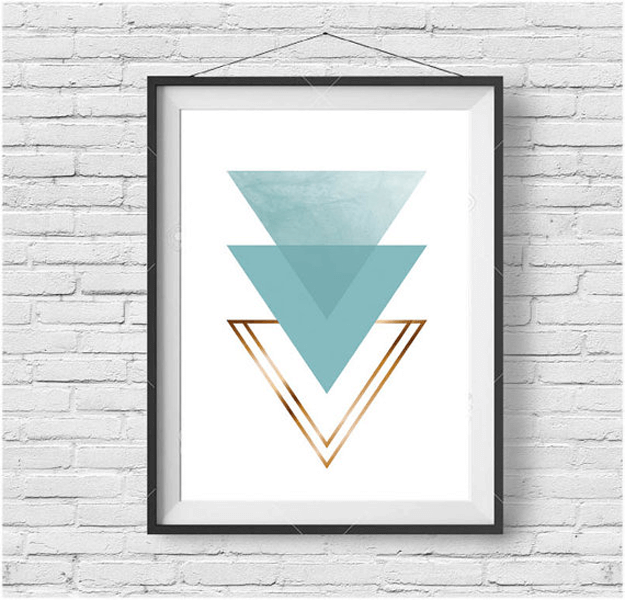 It’s a cross between a light teal and turquoise color that instantly soothes the soul. Now, I can’t wait to get to the fun part. Looking through all the inspiring designs using Reflecting Pool. Are you with me? Let’s go! 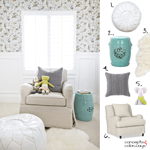 A light teal garden stool makes a beautiful accent in this white and beige interior. I absolutely love the wallpaper print in this design! So pretty! A light teal off-the-shoulder maxi dress. This is a beautiful color to show off your summer tan. Oh my! 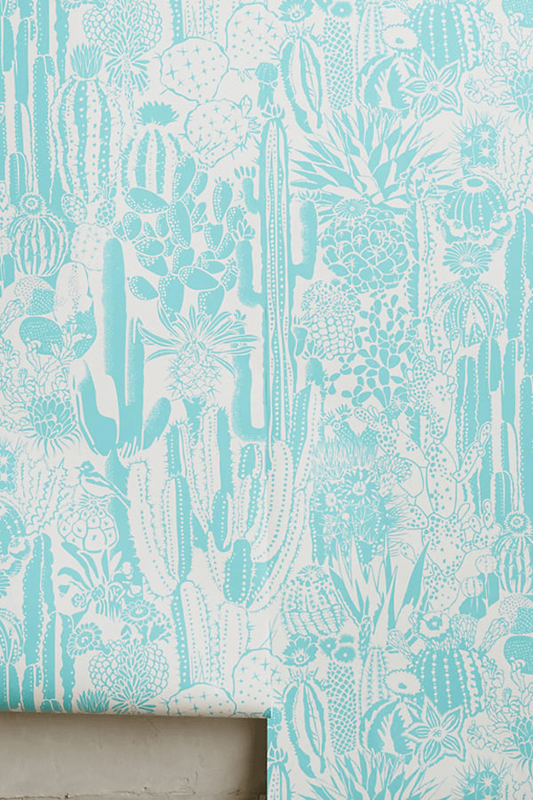 A turquoise blue wallpaper in a cactus print. 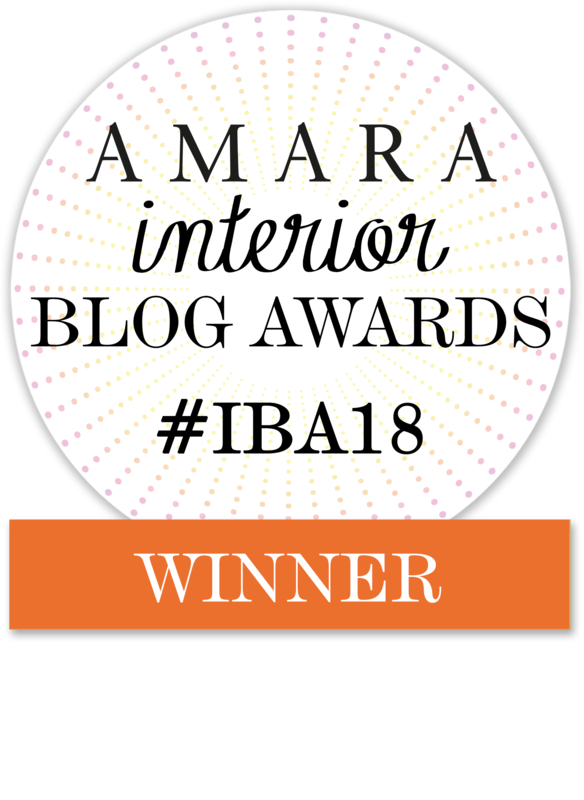 Two design trends in one! If you’d rather a subtle use of this color trend, go with teal accessories combined with a white outfit. So nice! For starters, let me say how much I love the built-in bookshelves placed against the ceiling. With that said, we can talk about the color palette. 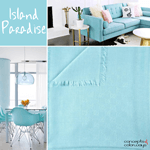 The faded turquoise blanket adds a soothing feel. While the red accents add a bold edge to the room. This photograph makes me long for the beach. 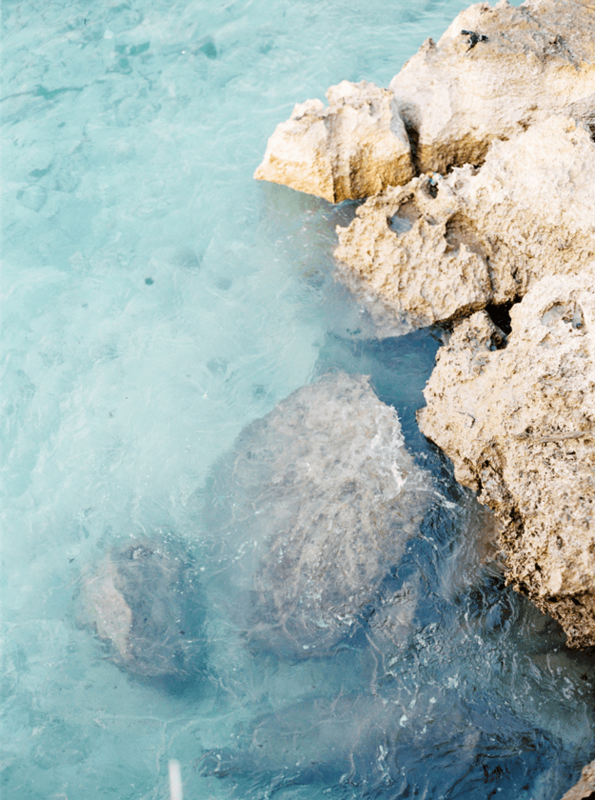 Doesn’t that turquoise water look refreshing? The teal and white combination is always a hit. I love how these two colors come together in this cover up pattern. I really like how the ‘Reflecting Pool’ color looks in linen fabrics. Pair it with a taupe brown accent for a look something like this. So, so cute! A teal floral print mini dress with off-the-shoulder sleeves. 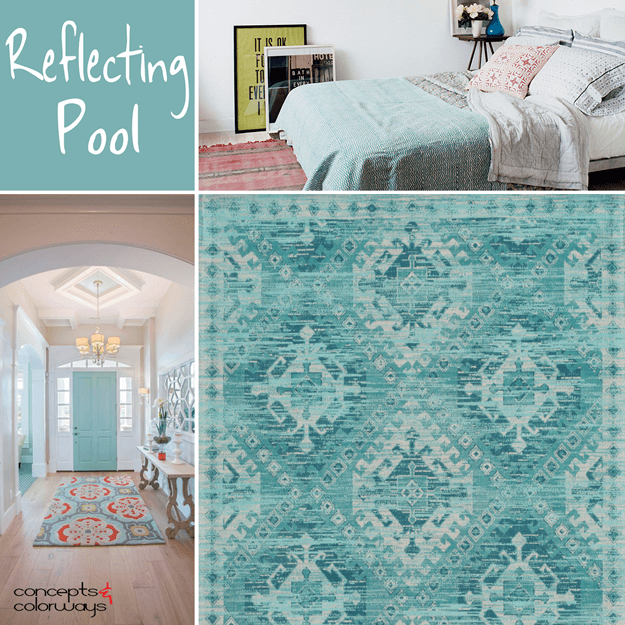 There’s just no color palette more soothing than a white room with ‘Reflecting Pool’ accents. This color trend looks especially nice on doors. I like the transparent quality of the ‘Reflecting Pool’ color. Here’s an abstract art piece that plays to this quality. Of course, some gold accents were used. Those two colors are quite the power couple. 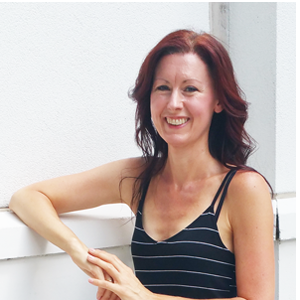 This color is so popular that I couldn’t show everything in one blog post. 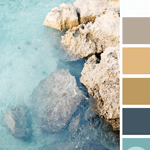 So, I set up a ‘Reflecting Pool’ Pinterest board with even more turquoise and teal color inspiration. 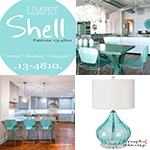 If you like this color trend, you might also like my Freshwater, Limpet Shell and Island Paradise color trend posts. Would you like to see some palettes and designs that feature Reflecting Pool? 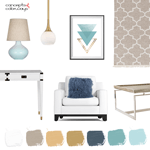 Then, you’ll want to have a look at these posts: A Vintage Style Palette by Project, A Vintage Style Nursery with Yellow and Teal Accents Get the Look, Turquoise Waters Color Palette, A Coastal Style Living Room with Turquoise, Gold and Taupe Accents Get the Look.